Promptly report your claim securely online. Early reporting of potential claims, or “incidents,” can make all the difference in NORCAL’s ability to evaluate and defend actions initiated against you. NORCAL features a “good faith” early reporting policy. A verbal complaint or threat to sue by either a patient or a patient’s family member about care rendered. Request for Medical Records by attorney, copy service or patient. Any situation in which a potential claim could be avoided with an appropriate action or response. Request for meetings, interviews, verbal or written statements regarding patient care. 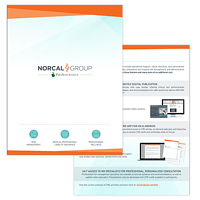 The information presented here is not intended to replace case-specific advice from either your legal counsel or NORCAL Group.